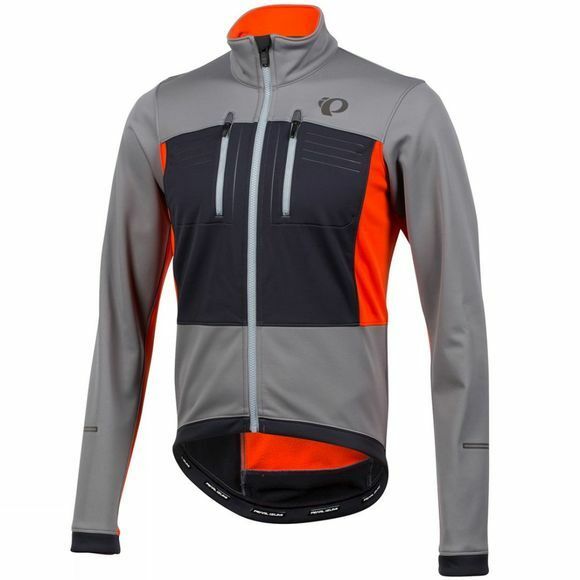 Keep those pedals turning through the wind and rain this winter with Pearl Izumi’s ELITE Escape Softshell Jacket. Made from their ELITE Softshell fabric it offers protection from the wind and rain, as well as providing superior warmth without the bulk. Thermal panels offer extra insulation and breathability, and with a full length zip with draft flap you can chose to zip it right up for a snug fit, or open it slightly for extra ventilation when the pace starts to pick up.